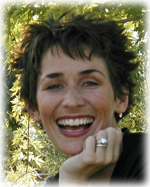 Leanna Preece Peterson, age 45, of Lindon, Utah, passed away peacefully in her sleep on August 18, 2018 in Aurora, Colorado. She was born in Provo, Utah to Norman and Linda Preece on July 17, 1973. She went to Pleasant Grove HS and then on to BYU where she performed with the BYU Ballroom Dance Team, and eventually met and married Ryan Basil Peterson on July 31, 1993 in the Jordan River LDS Temple. They then moved to Las Vegas where they lived for 23 years. For the last year and a half they have lived in Aurora, CO.
Leanna was a very involved wife, mom, daughter, sister, and friend, always serving and putting people’s needs at the forefront. She was truly a light in any room and so very many lives. She was an intent listener, looking for ways to ease another’s burden. She could make you laugh so easily with her quick wit. She was adventurous and up for anything fun. Leanna will never be forgotten. She was involved in several callings in her various wards. She loved flowers, and taught herself to create beautiful arrangements, and would often help in wedding preparations. She was an avid holiday decorator, bringing the joy of different seasons. She loved people, and was a friend to so many who dearly loved her. Leanna was easy to talk to, and the time spent with her was very enjoyable. We feel lucky and blessed to be her family and friends. Leanna is survived by her husband Ryan; children TJ, Trent, and Shelby; parents Norman and Linda Preece; and sisters Lucinda, Laura, and Louise. She is preceded in death by her brother David Norman Preece. Memorial services will be held Friday, August 24, 2018 at 11:00 a.m. in the Lindon Central Stake Center, 56 East 600 North, Lindon, Utah, where friends and family may attend a visitation from 9:30 - 10:30 a.m. in the relief society room prior to the service. Condolences may be sent to the family at www.olpinmortuary.com.